Atmel’s line of 8-bit AVR MCUs has been made extremely popular thanks to Arduino, but for those who want to explore the possibilities of AVR in-depth – mikroLab for AVR is the solution. 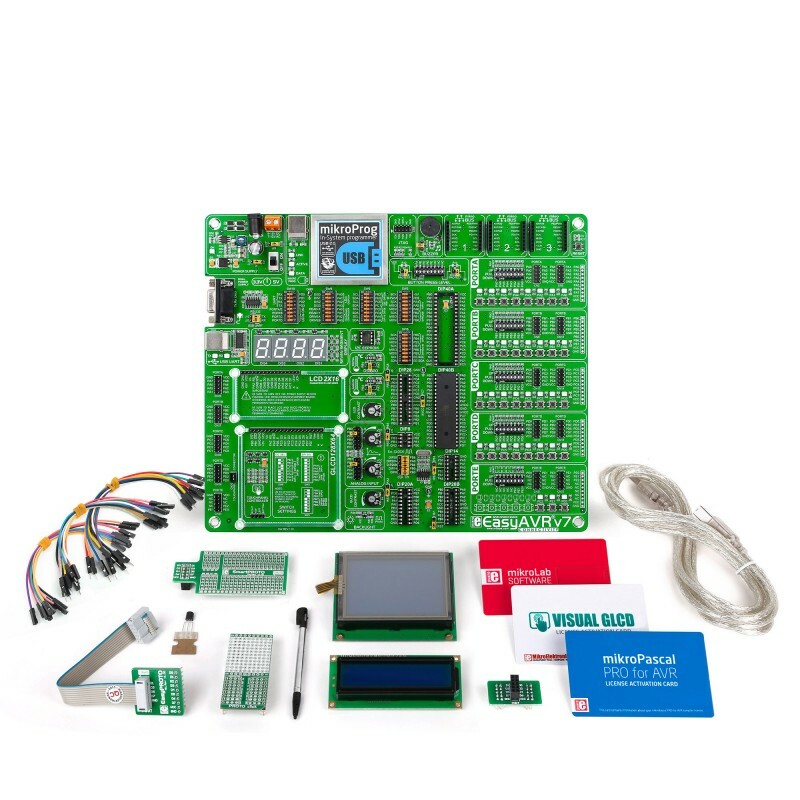 This kit contains an EasyAVR v7 board that supports a total of 64 AT, ATmega, and ATtiny MCUs, a mikroC, mikroBasic or mikroPascal for AVR compiler license and free license for Visual GLCD (valued at $99). 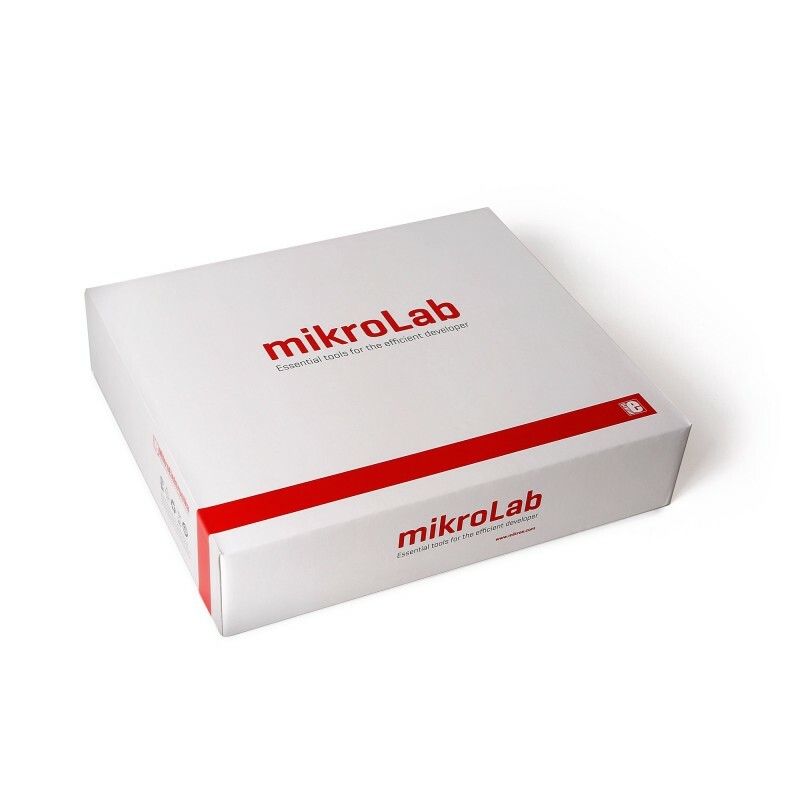 mikroC is the most popular choice, and you'll be able to find a lot of free code and tutorials – as well as freelance opportunities — that use or ask for mikroC. mikroBasic is the best choice for beginners because of the simple syntax and clear code. mikroPascal encapsulates strong data types, very nice syntax, and has probably the best balance between simplicity and control. AVR was invented by two Norwegian students, Alf-Egil Bogen and Vegard Wollan. Their intention was to create an architecture that could efficiently execute programs written in C. Atmel acquired the IP and hired the students, introducing first AVR MCUs in 1997 to a great success. By 2003, they already shipped 500 million units. Today it’s a well known and widely spread architecture. Every available AVR chip in DIP packaging can fit on EasyAVR v7, with sockets for 8, 14, 20, 28, and 40 pins available on the board included in mikroLab for AVR.